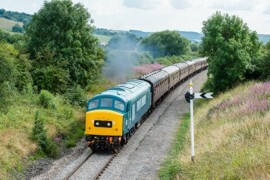 The Heritage Diesel Weekend will feature the GWR's unique collection of ex-British Railways heritage diesel locomotives and multiple units, operating an intensive service of trains plus a guest locomotive. 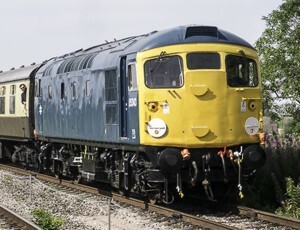 Nine locomotives will be in use (subject to availability) travelling just over 1000 miles in the course of the 3 days. 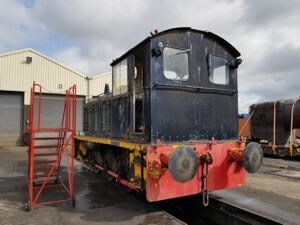 Two of our locomotives undergoing extensive overhaul will form part of the exhibition inside the diesel shed at Toddington. 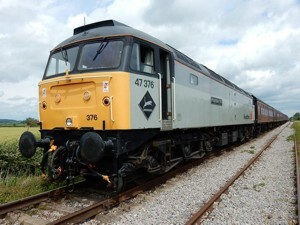 The visit of class 42 diesel hydraulic locomotive no. 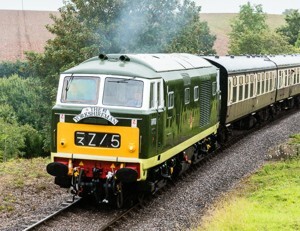 D832 ‘Onslaught’ from the East Lancashire Railway, a locomotive synonymous with Western Region express services. 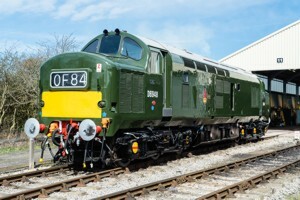 The visit of class 35 diesel hydraulic locomotive no. 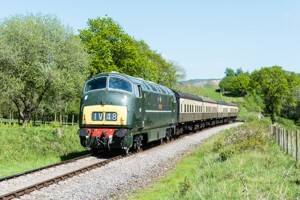 D7017 from the West Somerset Railway, another locomotive synonymous with the Western Region. 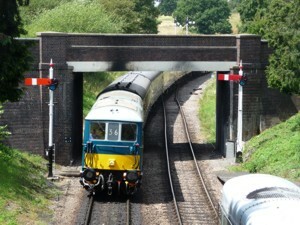 English Electric class 37 locomotive D6948. 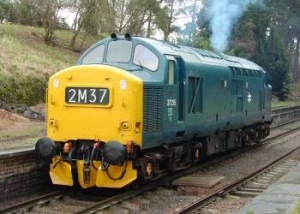 A classic 1964 built diesel locomotive synonymous with South Wales and resplendent in immaculate green livery of the era when diesel and steam shared Britain's railways. 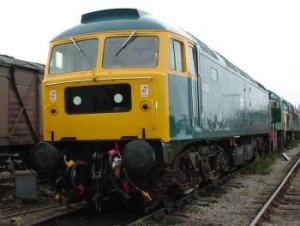 The GWR's 3 car class 117 Diesel Multiple Unit will be in use as a 4th hauled coaching stock set. 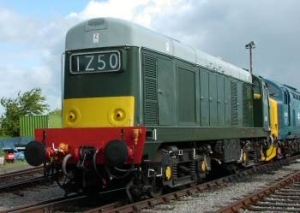 All our locomotives and railcars are owned by preservation groups or individuals and most have their own websites packed full of information on the locomotive's history, operation and latest news. 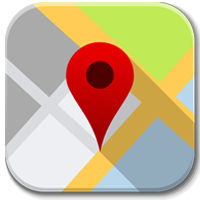 Click on the links for lots more on the owning groups (including how you can join and get involved with the operation, maintenance and restoration of each if you wish). 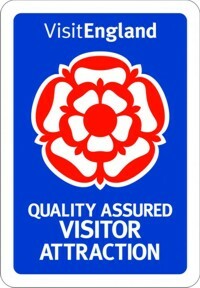 Note the GWSR is not responsible for the content of external links. 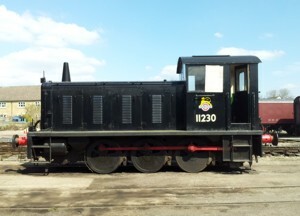 Click on the pictures for more info on the locomotives (where available). 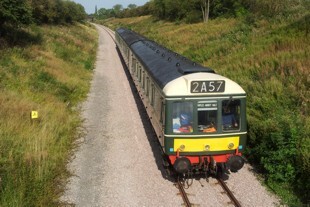 There'll be 3 sets of coaches in use during the weekend. 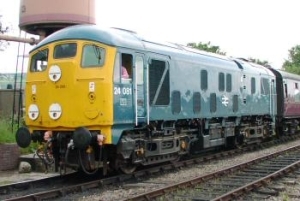 This year we can offer two 8 coach sets - our usual chocolate & cream and maroon sets of coaches, together with an additional 7 coach chocolate & cream set, and the 3-car class 117 Diesel Multiple Unit which will be in use as a fourth hauled set of coaches (unpowered).